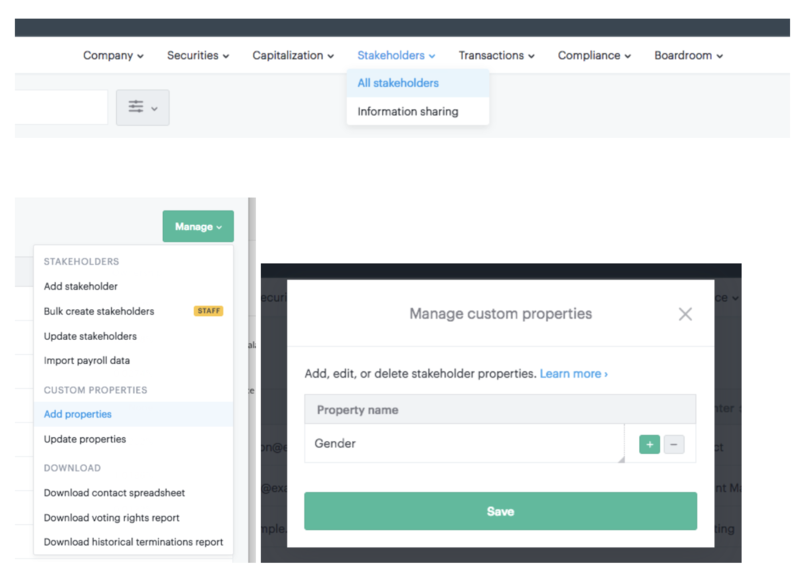 Carta enables individual companies to analyze their own cap table data, which can help you identify potential biases in your equity compensation or people who are leveled incorrectly. To analyze your cap table by employee demographics, we recommend classifying your data in Carta and exporting the data for analysis. We hope to make the full analysis possible in the Carta platform soon. Please make sure you are following security and privacy policies of your organization before analyzing and downloading this data. Navigate to the Stakeholders page. Select Manage > Add properties. Select Manage > Add properties and add Gender (or another demographic) as a property. Once you've added the new property, go to Manage > Update Properties > Download Template. 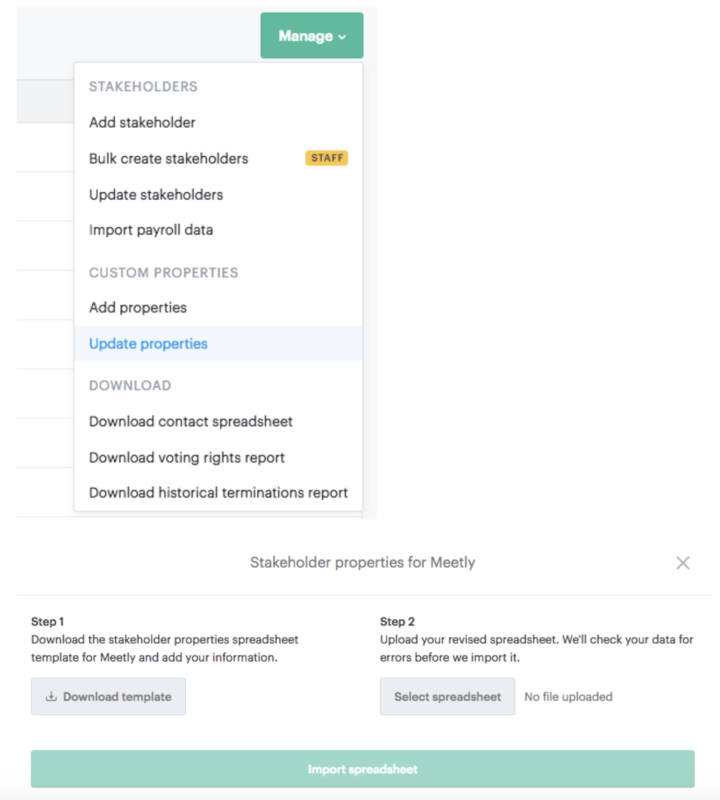 Fill in the Gender tab with the gender of each stakeholder. For the sake of simplicity, you can use the date of incorporation for the “New Gender As Of” date field. When you’ve finished filling out the data, import your new information into Carta. 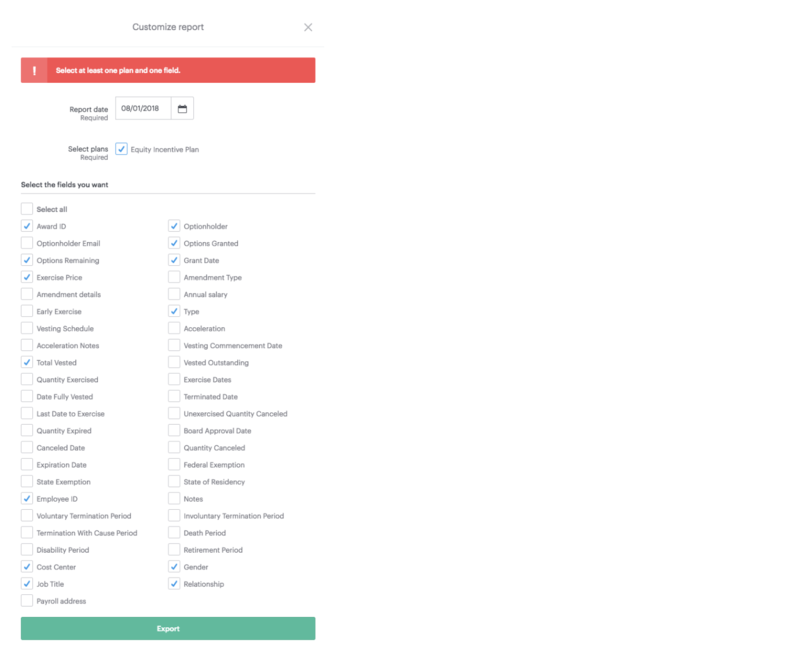 Select the Update Properties button and choose the spreadsheet you just modified. In your downloaded spreadsheet, create a new column to calculate the current value of each award. Use the formula, Total Current Value = (Current FMV - Exercise Price) * Number of Options Granted. Next, select all the all the data and insert a pivot table. Pivot the data by gender, compare the % of Total Current Value by Gender to the % of Male and Female employees. 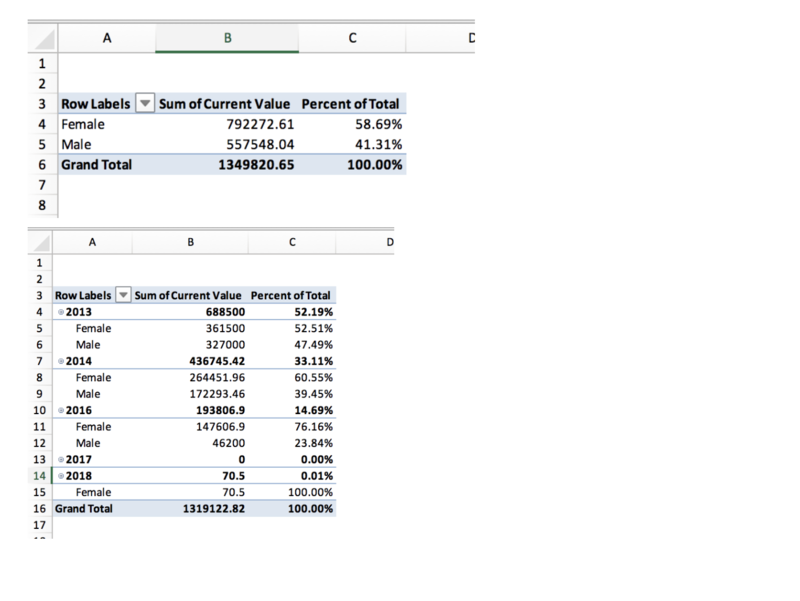 To help you with this process, we’ve created an example Excel file, download this file to see our formulas.